Get your tickets now to Lexington’s hottest Derby Eve party! It’s Derby time in the Bluegrass! 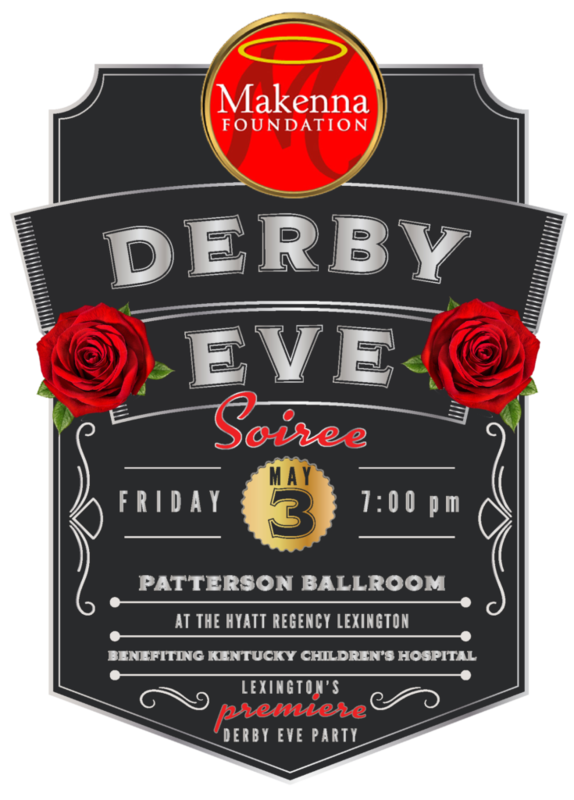 The Makenna Foundation is celebrating with the Derby Eve Soiree presented by Kentucky AND Cincinnati Children’s Hospitals. Join us for a great night that includes a premiere auction, gourmet dinner and spirits and live entertainment from Encore of Lexington and Sora Aerial Arts! Put on your fancy duds and dancing shoes and join us in supporting the kids and families at Kentucky Children’s Hospital. Tables and tickets are selling fast so purchase now!